Mr. Hurwitz is the founding Managing Director of Precision Bioventures, LLC, a consulting and investment advisory firm. Mr. Hurwitz also currently serves as a director of MacroGenics and Applied Genetic Technologies Corporation, both publicly held companies. From 2002 through December 2014, he was a Director of Alta BioPharma III, L.P., and Alta Partners VIII, L.P., funds affiliated with Alta Partners, a venture capital firm. 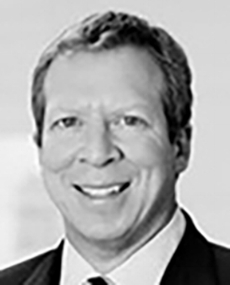 In previous positions, Mr. Hurwitz also served as SVP and CFO of Affymetrix, as a research analyst for Roberston, Stephens and Co and Smith Barney Shearson as well as a corporate attorney at Cooley Godward. Mr. Hurwitz received JD and MBA degrees from the University of California at Berkeley in 1990 and a BA in molecular biology from Cornell University in 1985. Emmett has accumulated nearly thirty years’ experience in the biomedical and biopharmaceutical sectors. He is currently a Partner at Clarus Ventures (www.clarusventures.com). Prior to joining Clarus in 2006, Dr. Cunningham was the Senior Vice President of Medical Strategy at Eyetech Pharmaceuticals, Inc. (NASDAQ:EYET), where he helped build and lead the team that developed and commercialized Macugen, a first-in-class product for the treatment of age-related macular degeneration. Prior to Eyetech, Dr. Cunningham was at Pfizer, Inc (NYSE: PFE), where he was responsible for the clinical development of early phase central nervous system compounds and the in-licensing of early and late-stage therapeutic candidates in ophthalmology. Emmett received an MD and MPH in epidemiology and statistics from Johns Hopkins University and a PhD in neuroscience from the University of California at San Diego (UCSD) for work done at The Salk Institute. He completed both a residency in ophthalmology and fellowship training in Corneal Disease and Uveitis at UCSF and The Francis I. Proctor Foundation, a medical retina and uveitis fellowship at Moorfields Eye Hospital in London, and a fellowship in public health ophthalmology with Prof. Alfred Sommer at the Wilmer Eye Institute in Baltimore. Emmett is an internationally recognized specialist in infectious and inflammatory eye disease with over 300 publications. He is Director of the Uveitis Service at California Pacific Medical Center, Adjunct Clinical Professor of Ophthalmology at Stanford University, and a Research Associate at The Francis I. Proctor Foundation, UCSF School of Medicine. Emmett is a member of the Board of Directors of Restoration Robotics and Avillion, on the Scientific Advisory Board of Aerie Pharmaceuticals, Inc. (Nasdaq: AERI), and was recently on the Boards of Neomend, Inc. (acquired by CR Bard, Inc., NYSE: BCR) and SARcode BioSciences (acquired by Shire, plc, Nasdaq: SHPG). Dr. Cunningham was also recently a Board observer for Aerie, Ophthotech Corporation (Nasdaq: OPHT), Pearl Therapeutics (acquired by AstraZeneca, plc, NYSE: AZN), and Ferrokin (acquired by Shire). Emmett founded and is the Chairman of the Ophthalmology Innovation Summit (OIS; www.ophthalmologysummit.com), a well-attended symposium held in conjunction with the annual meetings of the American Academy of Ophthalmology and the American Society of Cataract and Refractive Surgery. The OIS brings together leading companies, clinicians, academics and investors in the ophthalmology space. Leah received a Ph.D. in medicinal chemistry from the University of Michigan in 2014, and a B.S. in biochemistry from the University of Dayton in 2009. She developed ViewPoint's flagship technology as a graduate student in Jason's lab and cofounded the company. While at the University of Michigan, she participated in the Pharmacological Sciences Training Program, was a fellow of the American Foundation for Pharmaceutical Education, and was named an Alzheimer's Drug Discovery Foundation Young Investigator. Leah has expertise in biophysical methods, protein biochemistry, high-throughput screening, and medicinal chemistry. Peter joined Novo Ventures (US) Inc. in San Francisco, California in 2012. He is a member of the Board of Directors of Corvus Pharmaceuticals Inc., Bolt Therapeutics (executive chairman), E-Scape Bio., Outpost and Viewpoint. From 2009-2012, Peter was employed with Novo A/S as a partner in Novo Ventures in Denmark. In 2004, Peter co-founded Curalogic A/S, served as CEO until 2009 and took the company public in 2006. From 2000-2004, he was Chief Operating Officer of 7TM Pharma A/S, which he also co-founded. Previously, he worked for 11 years with NeuroSearch A/S, where he was responsible for all aspects of pre-clinical and clinical drug development. Heath Lukatch, Ph.D. is a Partner at TPG Growth and Rise and was previously a Partner and Managing Director at TPG Biotech. He currently serves on the Boards of Directors of Adynxx, Flexion Therapeutics, Inc. (Nasdaq FLXN), Halo Neuroscience, Inogen (Nasdaq INGN) (Chairman), Lagunita Bioscience, Engage Therapeutics (Chairman), and Satsuma Pharma (Chairman). Prior to joining TPG in 2015, Dr Lukatch was a Partner at Novo Ventures (US), where he helped establish Novo Ventures’ San Francisco office. During his 9 years at Novo, Dr. Lukatch served as Chairman of Cianna Medical, Inogen (Nasdaq: INGN), NTP and Spinifex Pharmaceuticals (acquired by Novartis in 2015), and he served as a board member at Amira Pharmaceuticals (acquired by BMS in 2011), AnaptysBio (Nasdaq: ANAB), Elevation Pharmaceuticals (acquired by Sunovion in 2012), Flexion Therapeutics (Nasdaq: FLXN), FoldRx Pharmaceuticals (acquired by Pfizer in 2010), InSound Medical (acquired by Sonova in 2010), Nora Therapeutics and Synosia Therapeutics (acquired by BioTie in 2011), he was also a board observer at Alios BioPharma (acquired by J&J in 2014). Prior to joining Novo Ventures (US), Dr. Lukatch was a Managing Director responsible for biotechnology venture investments at Piper Jaffray Ventures and SightLine Partners, where his investments included Dynavax (Nasdaq: DVAX) and Fluidigm (Nasdaq: FLDM). Before Piper Jaffray Ventures, Dr. Lukatch worked as a strategy consultant with McKinsey & Company, where he was a leader in McKinsey’s biotechnology practice. Dr. Lukatch also served as co‐founder and CEO of AutoMate Scientific, a biotechnology instrumentation company, and he has held scientific positions with Chiron, Roche Bioscience and Cetus, doing molecular biology, electrophysiology and protein chemistry, respectively. Dr. Lukatch received his Ph.D. in Neuroscience from Stanford University where he was a DOD USAF Fellow, and his B.A. with high honors in Biochemistry from the University of California at Berkeley.